One goal the Lab Zero Team set for 2016 is to get more involved with our Bay Area tech community by attending and hosting meetups. The Tech scene in the SF Bay Area has an extremely active meetup scene. Meetup groups get together every night to share stories, learn something new, and expand their networks. While we love to attend evening meetups in the SF Bay Area, we’re busy professionals with equally busy personal lives. Our evenings are often packed with family time or pursuits outside the tech scene. Our decision to host a meetup series comes with a twist: we’ll host brief presentations, demos, talks that we think are useful and relevant. We’ll present topics suitable for engineers, designers, and product owners — all the usual meetup fare. The Lab Zero twist is that we’ll do it over lunch at our office in the San Francisco Financial District. We call our meetup a Lunchdown. You can join our meetup group to stay up-to-date with our events. 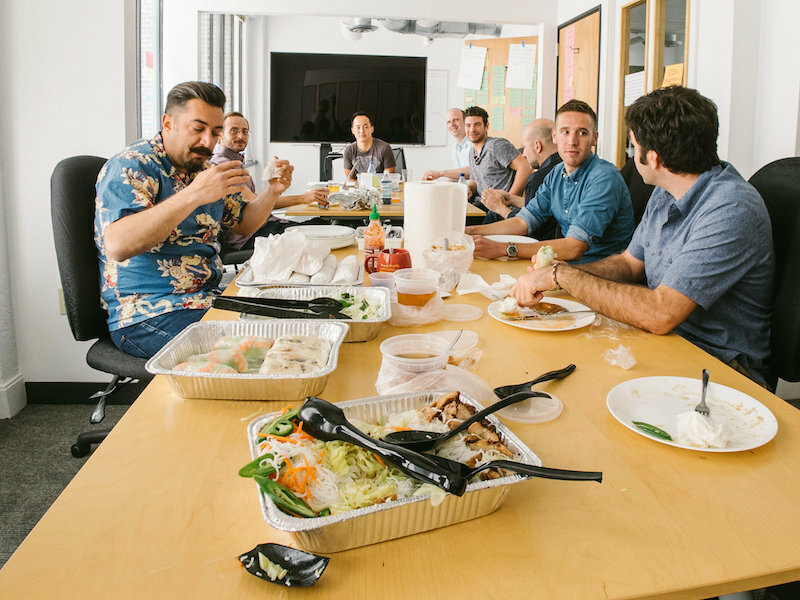 Don't get caught eating lunch at your desk - swing by our office instead for our new lunch meetup series, Lunchdown, to get more involved in the tech community and to learn more about the React ecosystem. Don't forget to invite your friends, too. Hope to see you at a Lunchdown soon! Attendance is limited, so you’ll want to grab a seat early.